Babcock, the UK’s market-leading engineering support services company, has welcomed 17 new modern apprentices to its Rosyth site, growing its engineering skills base across a range of trades. After a series of demanding interviews and practical tests, the top 17 beat off stiff competition from more than 300 applicants and were chosen to begin a four-year apprenticeship at the Fife facilities. The new recruits, which include Apprentice Welders, Fabricators, Pipefitters and Mechanical Fitters, will study at Fife College in their first year before continuing their apprenticeships with Babcock. The apprentices will spend a large part of the practical element of their apprenticeships learning as they work on a variety of commercial projects, including offshore energy projects recently secured by the company. Some of them will also be given the exciting opportunity of helping to deliver the HMS Prince of Wales aircraft carrier – one of the largest engineering projects currently under way in the UK. Julie McCluskey, Organisation Development Advisor at Rosyth, said: “We are really excited to welcome our new apprentices to the team. 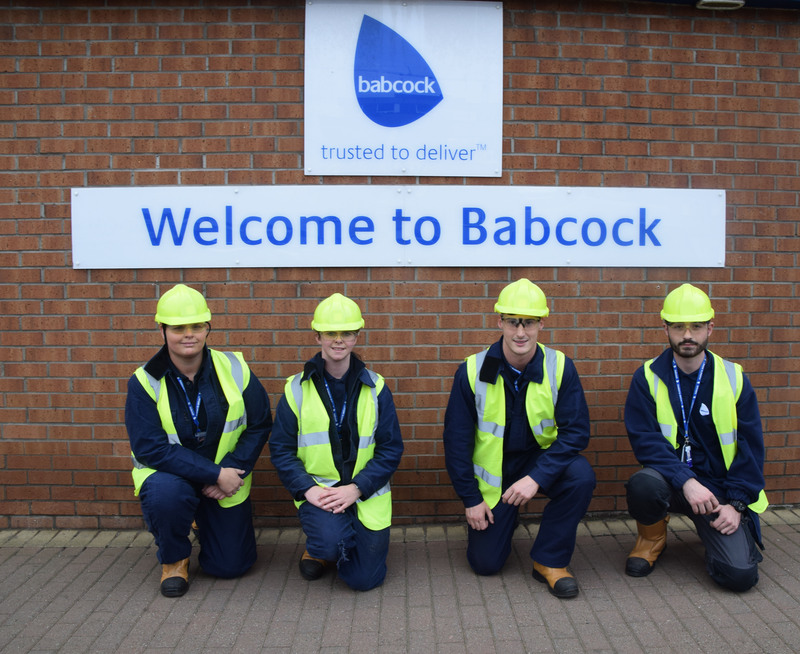 Since 2008, Babcock has employed almost 300 apprentices at Rosyth who specialise in an array of trades, solidifying the continuing development of the business along with its ever-growing support of the local and wider community. The new-starts bring the current number of apprentices at Babcock Rosyth to 114 and include apprentices from areas such as Dunfermline, Glasgow and Edinburgh.